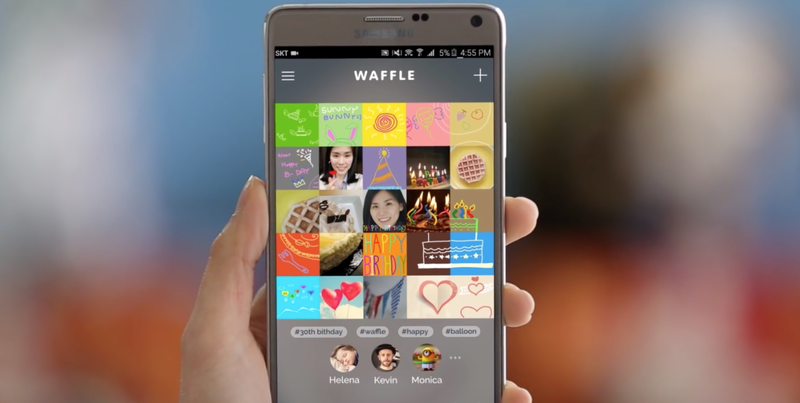 On the heels of closing one of its poorly received media efforts, Samsung is now trying to get into another hard-to-crack medium with a new social media app named Waffle. Waffle, a new content-sharing application, hopes to change that. Boasting a user interface that resembles the grids on a waffle (hence the name), the app enables users to create a new feed of expandable content. They can also add to existing related content, as if contributing to a communal graffiti wall. For example, a travel enthusiast might start a feed with a photograph taken on her latest trip to Tokyo. Then, others might add, say, a digital doodle of a sumo wrestler, a quote about traveling or an image of some beautifully plated sushi. In this way, Waffle offers a new, differentiated service that illustrates multiple points of view to generate a collaborative story. Once you post a picture, others in your social circle can post additional images around it, creating a ‘waffle’ of socialization. It’s seemingly endless, too, so I hope you’re hungry. Waffle is essentially same thing you can get from established social services, but possibly (probably?) limited to Samsung users. That always works well. It may be a different visualization of social media, but ultimately offers nothing new. It’s easy to see how a lack of socialization will frustrate users, though. If you post something and it doesn’t ‘waffle,’ that could be more discouraging than nobody favoriting a tweet. Similarly, there’s plenty of room for trolling, only this time visual instead of textual. Samsung appears to be waffling on their own concept, too. Speaking to The Verge, a Samsung spokesperson said they may shelve Waffle if it doesn’t show enough promise over the summer.